Rieback Medical Legal Consultants provides medical, nursing and pharmaceutical reviews, depositions and medical expert testimony for the legal community. Our national pool of medical experts has been built mostly through physician referrals to assure distinguished credentials, reputations, and to preserve our medical expert's credibility in the courtroom. Our medical expert witnesses are graduates from the best medical schools, and many are department chiefs, as well as highly published. Rieback Medical Legal Consultants DOES NOT ADVERTISE IN THE LEGAL JOURNALS. We continue to grow as a result of the high quality medical expert service that we provide. We obtain the majority of our attorney clients through word-of-mouth or referral. We pride ourselves in our association with some of the most prominent legal firms in the country. 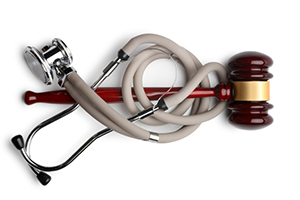 Complex medical malpractice cases will benefit from the assistance of our Medical Support Consultants. They are actively practicing, highly experienced physicians that have the knowledge, expertise and desire to educate, collaborate and work with you to enhance your case from a medical standpoint. These consultants have experience leading multi-specialty groups of physicians, nurses and other healthcare professionals in evaluating and treating the most critically ill patients as well as extensive teaching experience. The function of these select physicians will usually be different from the testifying experts that will be on your case. Our Medical Support Consultants will break down the medical records and educate the team as to the medical issues. Their knowledge, critical thinking skills and teaching experience in a wide variety of settings will be invaluable in enhancing your medical knowledge of the case. We will emphasize a comprehensive understanding of the anatomy, physiology, pathology, treatment protocols and omissions so you are prepared to think on your feet as medical issues develop. As a lawyer, when you understand the medicine the entire case becomes clearer, more coherent and is strengthened for optimal success. Initially, your case will be evaluated by a specialty matching physician expert(s) that will testify on your behalf if he or she concludes that your case has merit. If the testifying expert supports your case, he or she will write a report upon request and sign an affidavit. If you feel that your case is complex and has sufficient damages, you might want to consider adding one of our Medical Support Consultants. At no cost to you we will schedule a 30 minute phone conference so you can discuss your case with one of our Medical Support Consultants. Our Medical Support Consultants can review the medical records in its totality and dissect out the issues, strengths and problems from a medical standpoint. They will be prepared to help you construct the case focusing on educating your team so you have a comprehensive understanding of the medicine. The consultants will take the time to help you prepare questions for depositions and trial. Our consultants when requested, will be available to participate in phone conferences to assist you with medical and expert support. In the right case, and with adequate notice, our Medical Support Consultants will be able to provide phone support and/or attend your trial in a medical consultant capacity. The attorney can decide the scope of the Medical Support Consultants involvement. You can request the level of involvement that works best for your needs. It can range from teaching you the basic anatomy to being comprehensively educated about the medicine, the medical malpractice and how to approach your case from a medical standpoint. For more information about this service, please call Ellen Rieback at 954-472-1825. Subsequent case evaluations by Rieback Medical-Legal Consultants experts must be processed through Rieback Medical-Legal Consultant.